Haroon Mirza is included in Strange Attractor at Ballroom Marfa, on view from 10 March to 6 August 2017. Strange Attractor is an exhibition exploring the uncertainties and poetics of networks, environmental events, technology, and sound. The term “strange attractor” describes the inherent order embedded in chaos, perceivable in harmonious yet unpredictable patterns. The exhibition presents an array of multidisciplinary works tracing the disparity between individual perception and the vast abstractions of the contemporary moment. New and commissioned works employing sound, site and technology form the connective tissue of this expansive terrain. 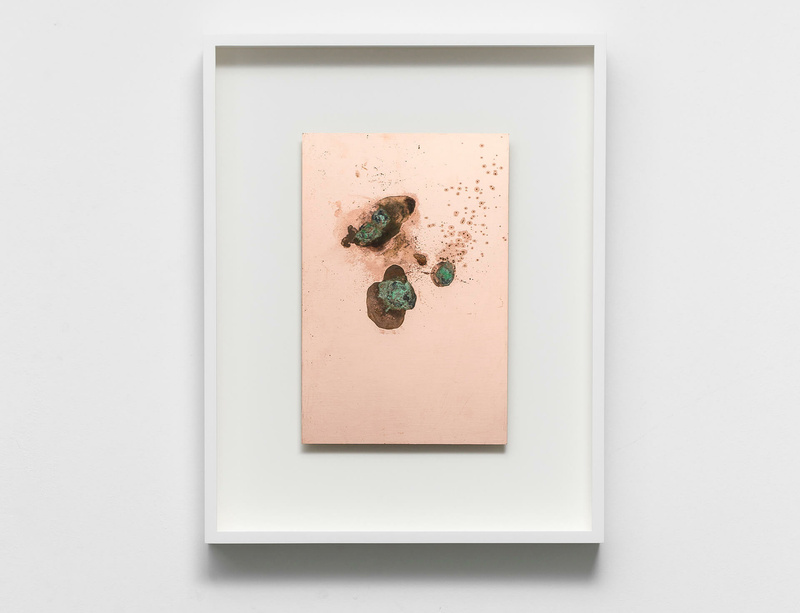 Haroon Mirza’s Cosmos and Supernova are included, and are electroetched manifestations of Lophophora williamsii (peyote), a spineless cactus containing psychoactive alkaloids native to the Chihuahuan Desert of Texas and Mexico. To facilitate the starkly populated images, Mirza placed the cacti on blank copper circuit boards and penetrated the plants with electric current. The etchings display the the residuum of a bond between natural and electronic tools, and elicit perceptual rifts connected to notions of place, ritual and memory. Click here for more information on 'Strange Attractor'.